Super Smash Bros Melee is certainly a game that has stood the test of time. However, it’s competitive scene has been surrounded in controversy for quite a while. The main controversy involves whether or not certain techniques used in competitive play are ban worthy. Such is the case with an Ice Climbers tech known as Wobbling. Wobbling is a technique used in Melee involving an infinite with Ice Climbers. The technique involves grabbing an opponent and pummeling them in a certain way. When done right, the grab will be inescapable. 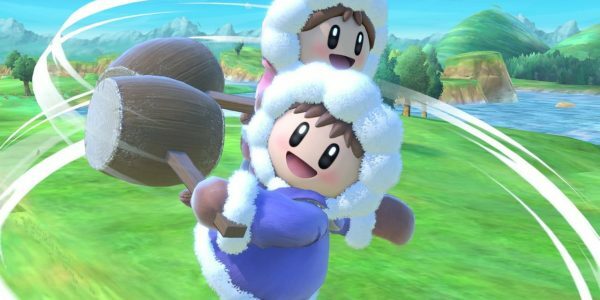 In turn, the Ice Climbers can take a whole stock out of a grab. This move can slow down the pace of a lot of games. While the technique might sound like it’s powerful and unbeatable; some players have found ways to adapt to the technique. In fact, the Ice Climbers have had trouble getting consistent results even while having this technique available. However, the reason behind its ban is attributed to how it slows the pacing of the game entirely. It’s certainly annoying to watch as a player pummels another for minutes on end for the sake of a stock. This complaint made itself even clearer when Edgard “n0ne” Sheleby complained about it after Genesis 6. Since yesterday every time i open up Melee at Genesis its just an ICs wobbling. We're livin in times where Melee is competing with Ultimate. Doin nothing about wobbling is gonna kill melee off. It’s true, Super Smash Bros Melee is known for the incredibly fast pace. However, that purpose is defeated when the Ice Climbers have the capability to slow the game down to a halt. As such, some competitive scenes have decided to ban the technique entirely. First, Tennessee tournament organizers decided to ban the technique until further notice. In addition, a statement was released regarding the logistics behind the decision on Reddit. Not only that, Kentucky quickly followed suit by banning Wobbling for the foreseeable future. As such, Ice Climbers players might have to look towards new approaches to playing. However, the discussion is currently still ongoing. Players are still split on whether or not Wobbling should be banned. What do you think about the current Wobbling ban? Do you think any other techniques should be banned from competitive play? Do you play Smash Bros Melee competitively? Let us know your thoughts on the VGR Forums.